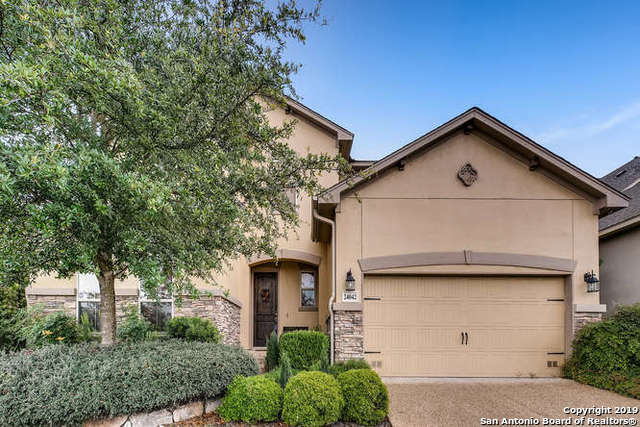 All STATELY OAKS homes currently listed for sale in San Antonio as of 04/26/2019 are shown below. You can change the search criteria at any time by pressing the 'Change Search' button below. "Great condition with new carpet 5 Bdrms w/ 4 baths. Luxury kitchen with granite counters, double ovens, stainless steel appl, & island. Covered patio. Both Media Room & Game Room upstairs. Juliette balconies at upstairs game rm overlook family rm below. Luxury Master Bath w/ jetted tub, separate shower, granite counters. Within walking distance to amenity center that has jr. Olympic pool, children's wading pool, sand volleyball court, basketball courts, tennis courts, soccer fields & trails"